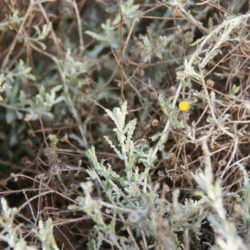 Pulicaria crispa is indigenous to Saudi Arabia, and is distributed nearly all over the entire Arabian peninsula. However, it is distributed in Africa as well, where it can be found along the Sahel zone. 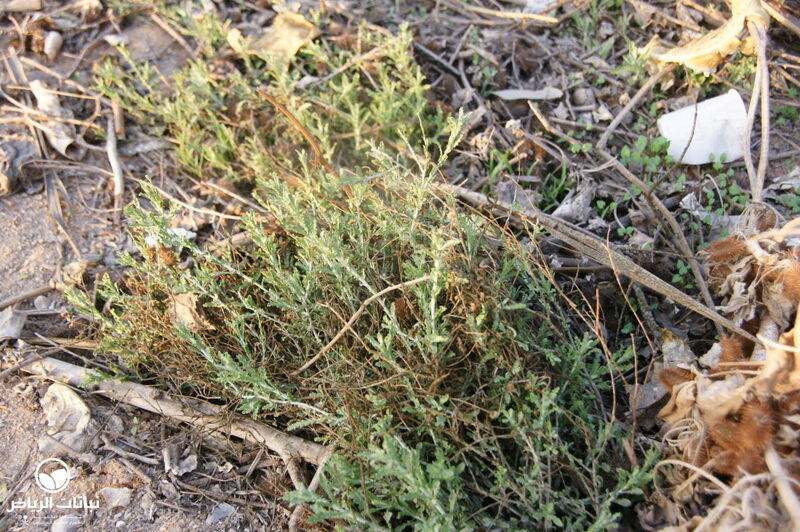 In Africa, it is used as fodder plant and as a remedy. 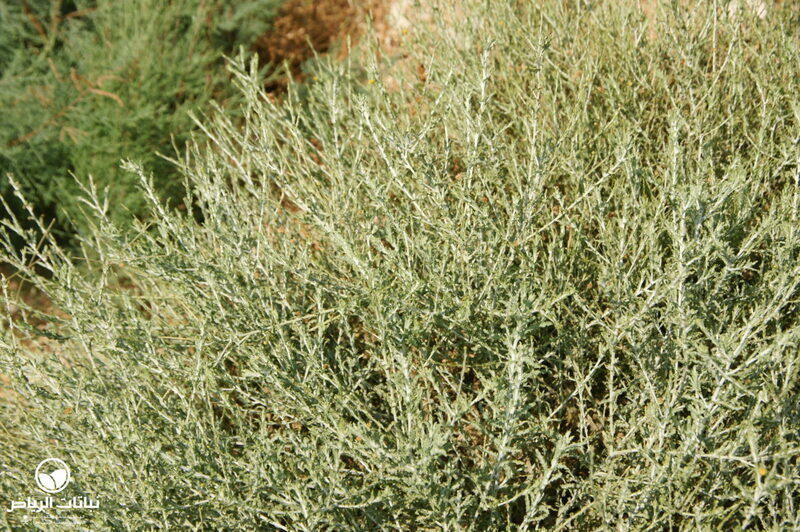 In the Sahara, an infusion for drinking is made from this aromatic plant. The resulting drink has a gingery taste. 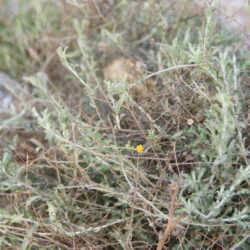 In Arabic, P. crispa is called jisjas or sabat. 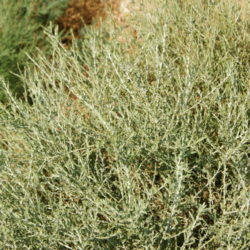 Jisjas is a fast-growing bushy, annual or perennial desert plant. 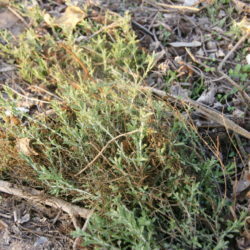 It grows like a small dwarf shrub between 40 and 50 cm high, and with numerous branches emanating from the base. The foliage is a fresh olive-green. The alternately arranged and sessile leaves are pubescent. The flowers appear in spring in 8-mm yellow knobs with an aromatic scent. The fruits are 2-mm achenes with small hairy tufts. The roots are lateral and tap-rooted. Jisjas likes sandy and rocky locations and is highly salt-tolerant. 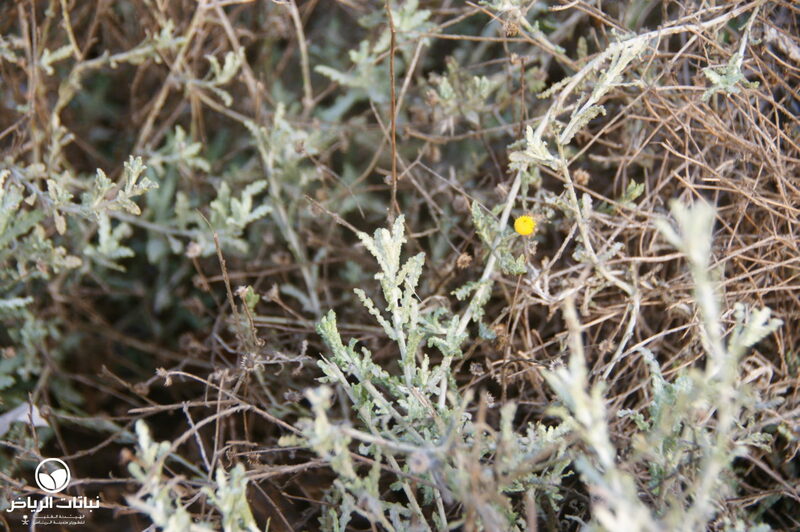 This plant is a native, and very well adapted to harsh desert conditions. It can withstand hot winds, desiccation, heat and poor soils. Maintenance or irrigation is not necessary after planting out in the location. Propagation is by direct sowing or by cuttings, and probably by self-seeding. 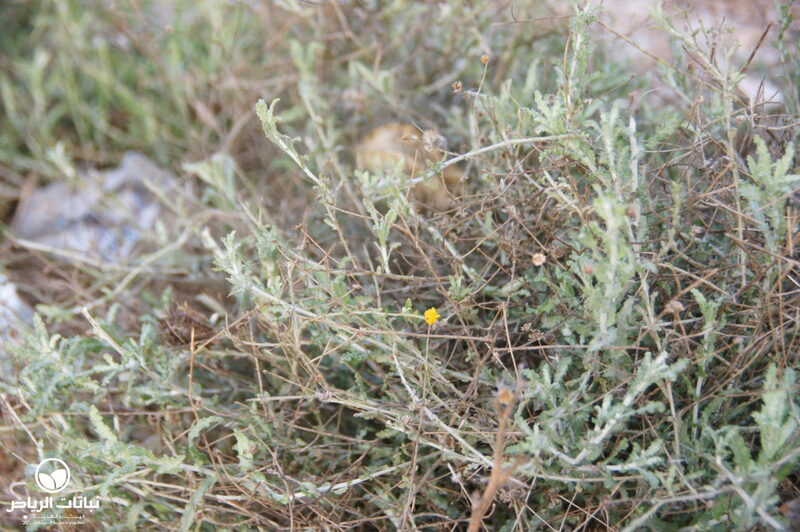 Pulicaria crispa is a very useful plant for the rehabilitation of natural plant cover. It can be used in seed mixtures for areas that should be recolonised, or for environmental consolidation. But in natural garden themes such as rock or steppe gardens, too, it will be effective as groundcover, grouped or massed planting.